Indian athlete Tejinder Pal Singh Toor wins gold in men’s shot put with create national record throw at the 18th edition of the Asian Games 2018 in Jakarta. 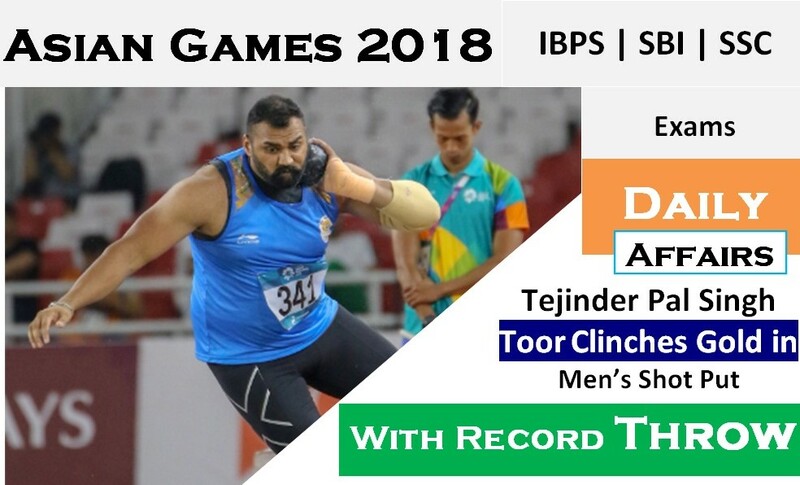 Shot put throw athlete Tejinder opened India's account gold medal at athletics at the 18th Asian Games. 24-year-old Tejinder throw 20.75 meters to break the Asian Games record and win the gold medal. The 23-year-old Tejinder throws 19.96 meters in the first attempt at the GBK Main Stadium, 19.15 meters in the second attempt. However, the third attempt was a foul for them. The fourth attempt of Tejinder is 19.96 meters. But he threw a record of 20.75 meters in the fifth attempt. Liu Yang of China won the silver medal with 19.52m and Ivanov Ivan of Kazakhstan with a 19.40 meter throws bronze medal.